Fibernet has 20,000 sq. ft. available in its highly connected Silicon Valley data center and space available in its 40,000 sq. ft. Utah data center facility. 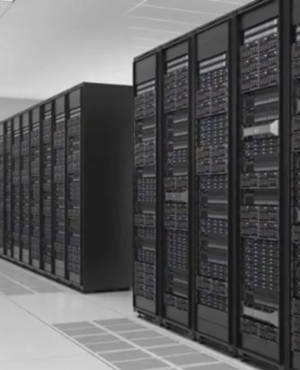 The most common data center colocation is the half and full cabinet colocation. Fibernet specializes in offering world-class colocation and dedicated hosting and with its full and half cabinet colocation solutions. Contact us on your half and full cabinet data center colocation requirements. Submit a quote request with details of your project and receive a quick response with pricing based on your specifications. A customer uses a half cabinet to house their servers and needed data center managed services to help complement their IT staff workload. Fibernet provided domain registration, SSL certificates, and new IP assignments for their website, as well as 1000 GB of data backup services and solutions to prevent the loss of data. Their server hardware failed once and Fibernet’s OverWatch Managed Services team immediately set up a new environment, and today that customer’s business continues to expand. A customer from the financial industry needed a place to store confidential information that was complicit with industry compliance and audit standards, such as PCI, HIPAA and SSAE 18. Fibernet’s Utah Data Center was selected to house their servers in a private cabinet with redundant connection to carriers and cross connects to their hosting. This setup allowed them to integrate their databases with front end web services and applications and satisfy industry compliance standards.